Clinic for the esthetic modern cosmetology Avanta offers the proprietary technology of correcting the shape of the face and remove deep wrinkles with special gel made from the own serum of the patient with activated platelets, the density of which depends on the problem to solve and may vary from viscous to thick one. This is a good alternative for those patients who categorically do not want to administrate artificial implants and for whom the use of hyaluronic fillers is contraindicated. Another advantage is the fact that plazmagel does not cause swelling, unlike hyaluronic acid, which attracts water molecules, and that it triggers the rejuvenation process by stimulating their own fibroblasts , recovery of own collagen, elastin and hyaluronic acid production. 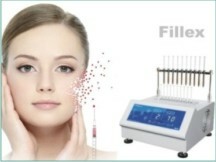 Plasma gel is an autologous filler based on heat-treated blood plasma. Thermal processing takes place in the hardware Fillex, which provides the formation of “fibrin glue” rich in cell growth factors, albumin, aminoacids. The new technology makes it possible to turn the blood plasma into a gel without adding any extra ingredients. Plasma-gel has a high plasticity and modeling properties as well as multifactorial biological effects. What happens to plasma-gel after administration? After administration plasma-gel forms collagen matrix, which supports the skin, prevents it from sagging and does not let new wrinkles appear. 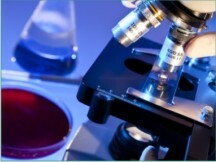 The preparation is made of the patient’s own blood and therefore does not cause allergic reactions and rejections. Plasma Gel is a frame through which new vessels germinate and therefore in areas of administration ischemia does not occur. After the introduction of plasma – gel a patient is insured from the swelling and puffiness that sometimes occur after the administration of a large amount of hyaluronic acid. Plasma-gel does not only fill in lines and wrinkles, increases the volume but also improves the quality of skin. Plasma gel is injected into the requested area with a very thin needle. The result is visible immediately after the procedure, and eventually increases. Duration of effect is from 6 to 10 months, depending on the volume and area of the injected preparation. How much is plasma-gel procedure? Plasma gel is cheaper than fillers based on different synthetic or biosynthetic materials. This is especially true for patients for whom a significant correction is required.